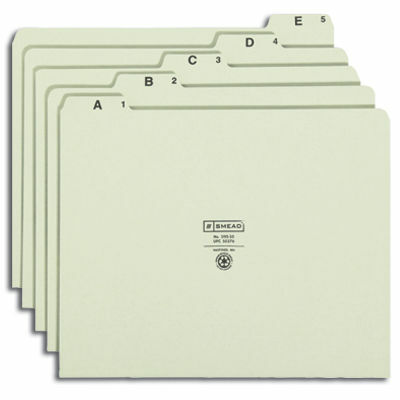 Break your file drawers into easily-spotted smaller groups with these alphabetic "signposts." 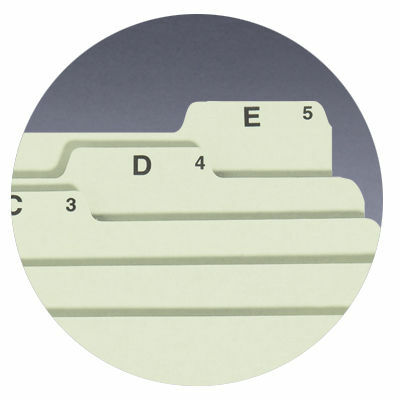 Reduce filing time by locating desired area without reading the file labels. 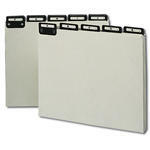 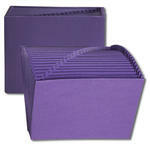 Choose economical manila for archives or sturdy pressboard for active files. 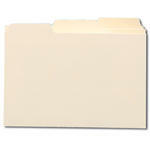 Flat metal tabs are ideal for file systems that get heavy and frequent use.